As a resort community with a 45-year history to uphold, Quinta do Lago remains engaged with the latest market trends, while also staying streets ahead of the competition. Recognising what the next generation of buyers is looking for is fundamental to our continued development and, as such, we are always trying to find out what works best for our customers. From initial contact right through to design and purchase, Quinta do Lago strives to ensure all experiences are seamless and speak to the calibre of its offering. From a sales perspective, this means bringing together state-of-the-art technologies, such as virtual reality, while maintaining a human touch. Our real estate team works with passion and drive, leveraging Quinta do Lago’s experience within the industry to provide the highest level of customer service. Put simply, we believe you have to live it to love it. Quinta do Lago is surrounded by the Ria Formosa Natural Park, impeccably maintained golf courses and stretches of sandy Atlantic beaches. With such a majestic landscape, we design our properties with nature in mind. By using floor-to-ceiling windows, making pool areas central features and using materials that enable sunlight to become a natural function of the home, we immerse our properties in the area’s natural beauty. One of our most sought-after real estate opportunities is Reserva, a collection of 26 three and four-bedroom homes that overlook the lake and ocean. Spanning some 230sq m each, the properties feature tropical landscaping and plunge pools, and provide membership to the residents-only Reserva club, which boasts a pool, gym, members’ lounge, children’s play area and private tennis courts. Priced from €2m and due for completion in July 2019, 19 of the 26 apartments have already been sold. Aside from the complex’s unique location, Reserva’s 24-hour concierge service and lock-and-leave option make it a compelling offering to those who value their time. What’s more, if a buyer loves the location but would prefer to build a home from the ground up, we offer a plot just minutes from the beach with both golf and lake views – a stunning location in which to craft the dream home. Another opportunity available is San Lorenzo North, a neighbourhood of 26 sites, located in a peaceful enclave surrounded by a lake and pine groves. 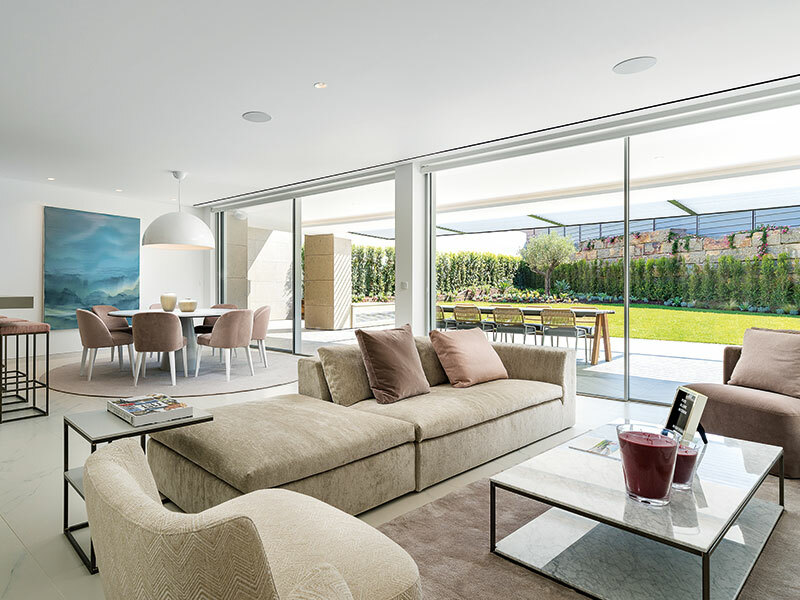 With prices starting from €2.8m, owners have free rein over the design of their properties. For those with less time on their hands, our expert design and project management teams are on hand to provide assistance. Wellness has long been prevalent in the hospitality sector. 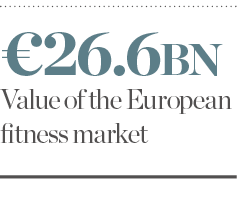 The fitness industry in the UK alone is valued at close to £5bn (€5.7bn), while according to Deloitte, the European fitness market is worth a staggering €26.6bn. Fortunately, we know how to speak the language of our health-conscious guests, most of whom are part of young families. We also recognise the need to offer something above and beyond that which is found in other luxury resort communities. As such, we have recently completed the construction of a 45,000sq ft performance-training facility, the Campus, in which people of all ages and abilities can practise the sport of their choice. The Campus offers something for everyone – be it tennis, cycling tours of the coast, swimming, yoga, pilates or year-round boot camps. Children, meanwhile, can enjoy our holiday camps, which offer the chance to train with inspirational sporting personalities such as Judy Murray and Rio Ferdinand. Quinta do Lago offers guests a seamless transition from their daily lifestyles to a beautiful setting surrounded by nature. We hope the teams and athletes we have attracted to the Campus, together with the undeterred appetite for our property and services, is testament to our desire to keep improving.